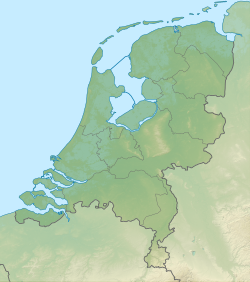 For other uses, see Dutch Open (disambiguation). The KLM Open is an annual golf tournament played in the Netherlands, and has been part of the European Tour's schedule since the Tour was inaugurated in 1972. Founded in 1912, the tournament was originally known as the Dutch Open, before a variety of sponsors resulted in numerous name changes over the years, with KLM being the incumbent. The tournament has been moved around the golfing calendar, but since 2010 it has been held in early September. 1923 Henry Burrows (3) England Hilversumsche 153 1 stroke James Paxton, Jr. In 1920 Burrows won the 36-hole playoff by 5 strokes, 146 to 151. In 1954 Grappasonni and de Wit were tied at 154 after a 36-hole playoff. Grappasonni won the first extra hole. In 1955 Angelini beat de Wit in a 36-hole playoff, 142 to 143. In 1965 Miguel beat Benito at the first extra hole. In 1968 Shaw dropped out at the second extra hole and Cockin won on the third extra hole. In 1989 Olazábal beat Rafferty at the 9th hole of the sudden-death playoff. Olazábal had a double-bogey 6 while Rafferty took a triple-bogey 7. Chapman had dropped out of the playoff at the first extra hole after a bogey 5. In 1992 Langer beat Brand at the second extra hole. In 2001 Langer beat Bennett at the first extra hole after Bennett took a bogey 5. In 2006 Dyson beat Green at the first playoff hole with a birdie 3. In 2009 Dyson beat Hedblom and Lawrie at the first playoff hole with a birdie. In 2013 Luiten beat Jiménez with a par 4 on first extra hole. In 1915 Burrows and Kettley contested a 36-hole playoff to determine who would be the professional champion. Burrows won, scoring 155 to Kettley's 168, and also took the first prize of ƒ100 (about £8).